Regardless of how many market experts talk about the importance of SEO and backlinks, achieving first page rankings are next to impossible unless your site is visually appealing and loads fast on various devices.This is where a premium WordPress theme becomes essential. They can improve your site’s layout and add many world-class features that will help it cement a spot among the top five results on Google. 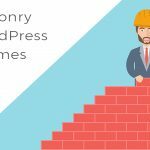 Usually, premium WordPress themes and plugins required to improve your site’s performance can cost up to several hundred dollars. Arranging these funds can be a hassled task if you’re just starting as a blogger. In case you don’t have that much money at present, but still want to take your website to greater heights, then here is a brilliant opportunity. 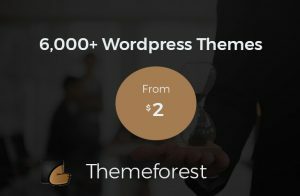 MyThemeShop, a prominent WordPress product designer and distributor, has decided giveaway the annual membership of its themes and plugins. 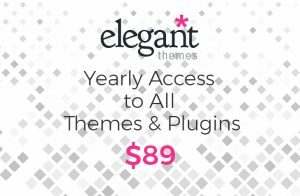 The membership covers unlimited access to all of its premium products (both plugins and themes) for 12 months. The best part — it’s 100% free for Scan WP readers. Such opportunities don’t show up every other day. So, make the most out of it. MyThemeShop is the one-stop solution for all your WordPress site designing related requirements. 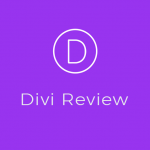 Whether you want to revamp the layout of your website, grow your email list or simply write eye-catching review posts; it has a specific tailor-made solution for all your needs. 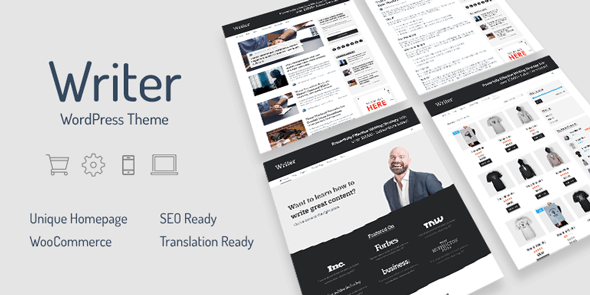 Known for its top class products and prompt technical support, MyThemeShop serves over 400K users falling in different categories like bloggers, entrepreneurs, authors, artists, startups, SMEs, large organizations, journalists and what not. You can use its products to make your blogging journey hassle-free. Three lucky winners with the most innovative responses will be chosen as the winners and rewarded a 100% free annual membership of MyThemeShop products. 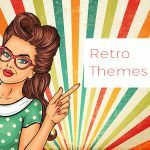 Participating in this giveaway to win the free annual subscription of unlimited themes and plugins is very easy. 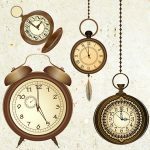 All you need to do is visit mythemeshop.com and have a look at all the premium themes and plugins available for download. Based on your requirements, you need to select the best products from them. Once you are done with it, come back to this post and share with us in the comments section as to why you liked those products. 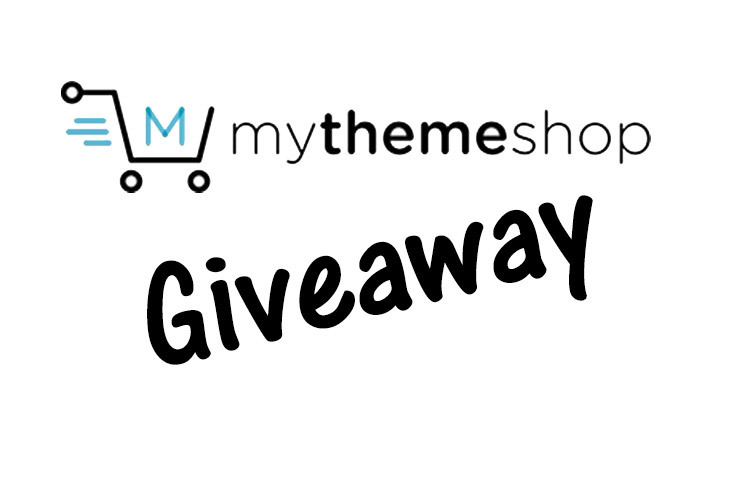 Prize: Free membership of MyThemeShop plugins and themes for 12 months. Winners: We will select three lucky participants, each of whom will be offered unlimited free access to MTS plugins and themes for the next twelve months. 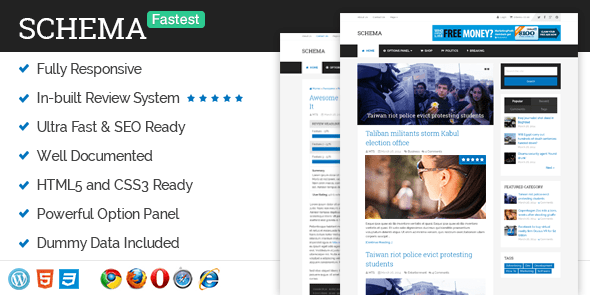 Widely known for its built-in review system and markup, Schema is undoubtedly the best theme for your product review website. It’s lightweight, search engine friendly, visually appealing, easy to use, and mobile responsive. Schema comes with dozens of different customization options to ensure you can reduce the bounce rate and increase CTR without a hitch. At a time when hundreds of online ventures are coming into existence every day, it’s important for you to choose the best theme for your next digital store to stand out. This one step will ensure that you can keep on growing your business even when others struggle. With eCommerce theme, you don’t need to worry about it anymore. 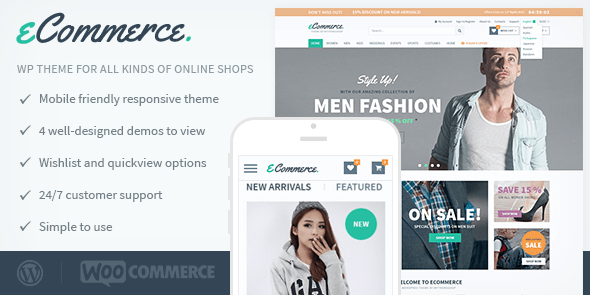 Apart from a robust options panel and multiple layouts, eCommerce theme comes loaded with a broad range of features to make your e-commerce business successful. It’s SEO ready and offers multiple customization options for better user engagement and sales. 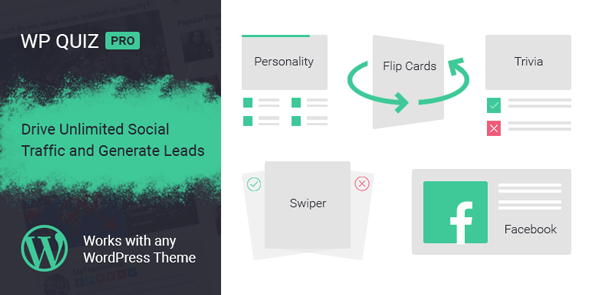 If you have a viral niche site that receives a lot of traffic from various social media platforms and search engines, and you want to optimize this traffic for better engagement, CTR, and ad earnings, then SociallyViral is your best bet. It’s incredibly beautiful, lightweight, and mobile responsive. Moreover, it allows you to make multiple changes in your site’s design and functionality easily. Use SociallyViral and boost your site’s social signals, traffic and revenue by a significant margin. 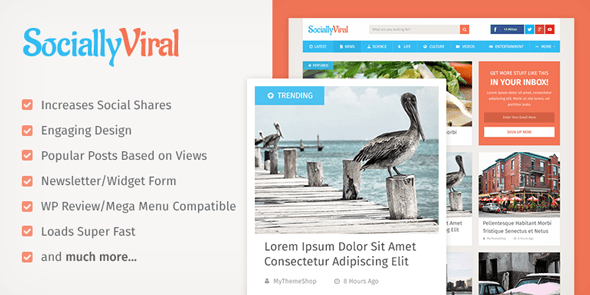 PointPro is one of the most popular WordPress themes for bloggers running sites around tech, business, lifestyle, entertainment, healthcare, sports and many other topics. It’s incredibly fast, well-coded, compatible with all the premium plugins, mobile responsive and flexible. 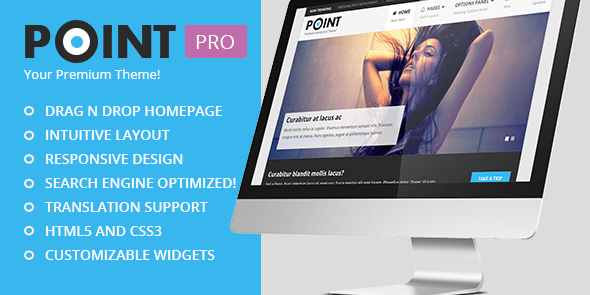 You can customize Point Pro, transform its homepage layout as well as features with ease. 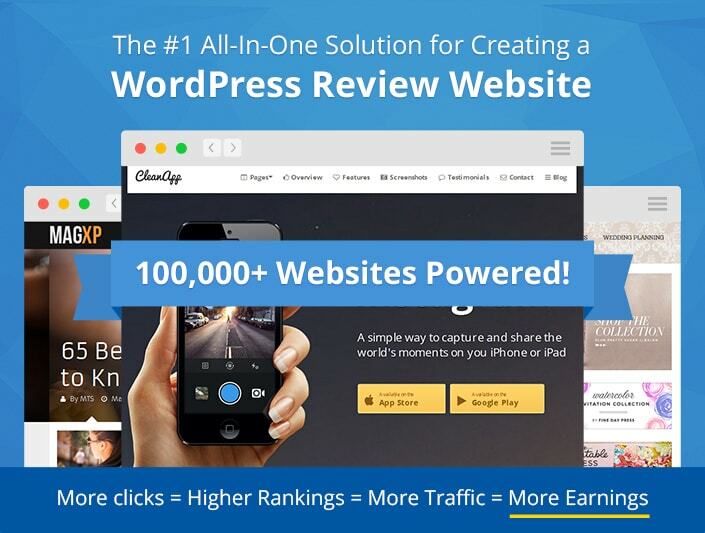 There is no better plugin than WP Review Pro available in the market for Amazon niche or product review sites. 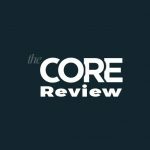 It lets you make several changes to convert your review posts into a highly engaging and search engine friendly pages. WP Review Pro functions efficiently on small screen devices and allows you to use different rating systems for better engagement rate. If you’re struggling to make users stay on your site for long, then go for this theme without any second thought. 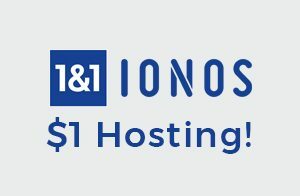 It allows you to create unique quizzes with ease and ensures that your blog posts go viral across various social media platforms. All this is done without compromising the site speed. Have a go at it, and you’ll never have to regret your decision in the future. 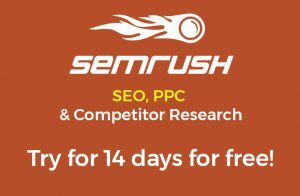 Amid frequently changing Google algorithms, if you want to create a stable business that can keep giving you residual income without any extraordinary effort, then stop relying on search engines for traffic. Instead, build multiple email lists that can help you sell products and services directly to customers. 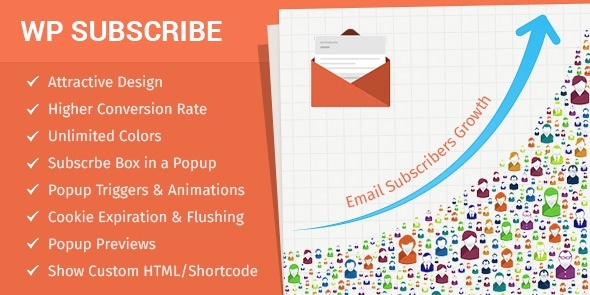 WP Subscribe Pro can help you do this and a lot more in a comfortable manner. Now you can create highly engaging notification bars and place them on different pages and posts to increase CTR, sell e-books, capture email ids and what not. 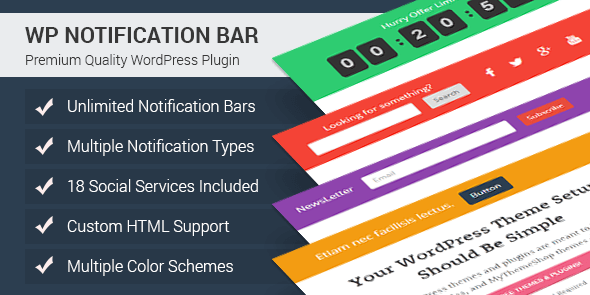 WP Notification Bar Pro is easy to set up and works just fine with almost all the WordPress themes in the market. Do you have a client exploring the real estate field? Someone who’s aggressively looking to make the most out of the growing demand in the property sector? If yes, then this is the plugin to use on his website. It allows you to create unique lists, compare different properties, integrate geo-mapping, use price calculator and do dozens of other tasks to increase CTR and sales. Installing WP Real Estate Pro is easy; operating it is even easier. A true champion that can grow your real estate listing website into a traffic puller platform in no time. 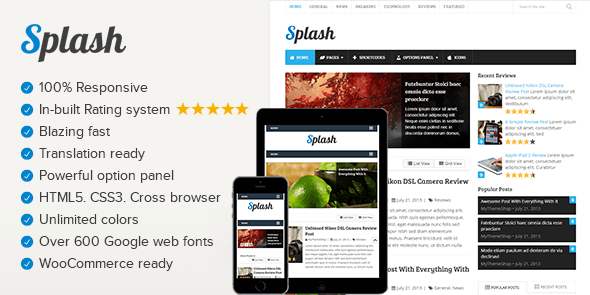 Splash is a highly responsive HTML5 based review WordPress theme that can be installed on sites exploring multiple niches. It’s blazing fast, translation ready, has an inbuilt review system, powerful theme options panel, multi-browser compatibility, unlimited colors, over 600 Google fonts, and much more. Splash is WooCommerce ready and can help you set up an e-commerce store in a convenient manner. Bitcoins may not be trending anymore, but the future of cryptocurrencies and blockchain is intact. Market experts claim that sooner or later blockchain will become a part of everyday life. 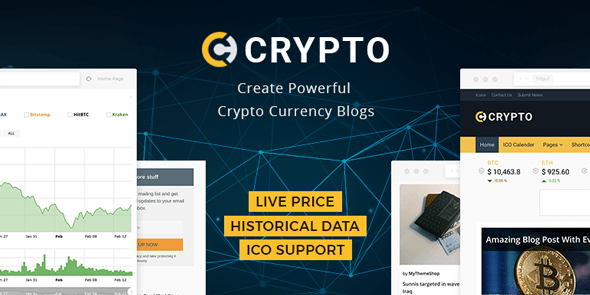 If you want to build a website keeping in mind the future, then have a look at the Crypto WordPress theme. It comes with a broad range of features, lightweight design, and a highly customizable layout to make the most of the online space. 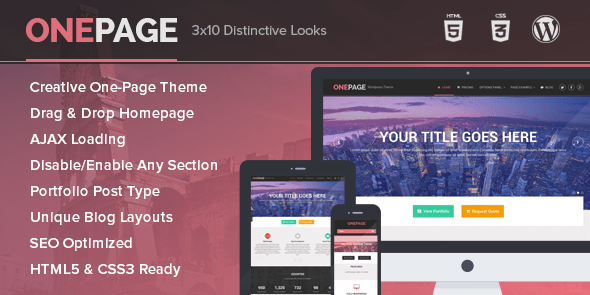 As the name suggests, OnePage is a highly optimized, lightweight and beautifully designed WordPress theme that can be used on a portfolio or business website. It comes with drag & drop features, AJAX loading, portfolio post types, unique blog layouts, search engine ready features, and clean HTML5 & CSS3. OnePage loads incredibly fast and offers innovative features like testimonials, business statistics in style, pricing table, etc. for better engagement. 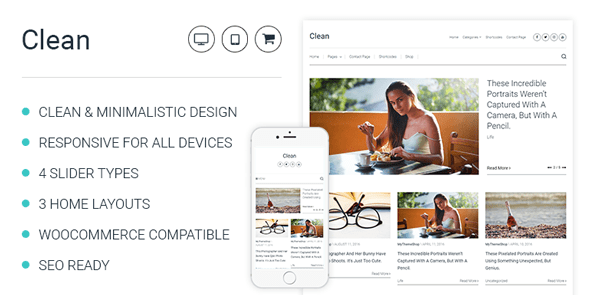 Clean is a minimalistic WordPress theme exclusively designed for professional bloggers and internet marketers. Some of its primary features include responsive design, clean & minimal layout, three homepage options, four unique slider types, WooCommerce compatible, and a host of search engine ready features. No matter if your users come from smartphones or desktops, Clean will help you serve them in the best possible manner. Are you a professional writer, blogger, journalist or author, willing to increase your visibility across social media platforms and search engines? Not sure which theme will serve the purpose effectively? If the answer is yes, then give a shot to the Writer theme. It’s responsive, packed with a wide range of SEO friendly features, beautiful and lightweight layout and lightning-fast loading speed. Besides, it supports WooCommerce plugin, thereby allowing you to set up an e-commerce store on your site easily. No matter how many times Google updates its algorithms, coupon niche will never go out of trend. 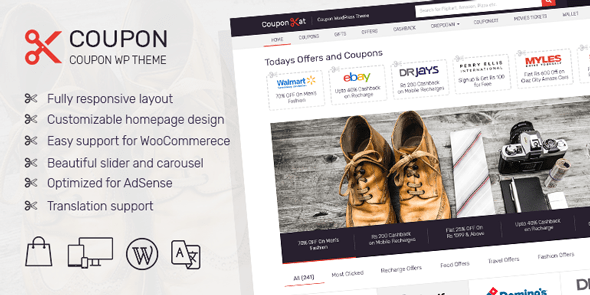 In case you’re exploring it, and want to touch newer heights in terms of traffic, engagement and overall earnings, then give a shot to the Coupon WordPress theme. It’s packed with a fully responsive layout, custom-built homepage, compatible with WooCommerce, captivating slider and carousel, AdSense optimized, and multi-lingual support. Give it a try and design a search engine friendly coupon site having the potential to go viral overnight. 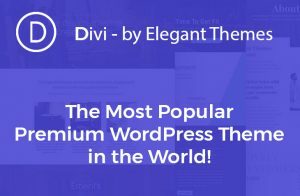 This giveaway is your gateway to dozens of premium WordPress themes and plugins worth thousands of dollars. 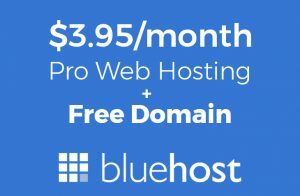 You can use them and create multiple sites capable of generating ten times more revenue on a monthly basis than you ever thought you would ever make. Don’t let it pass like that! 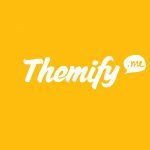 Visit mythemeshop.com, take a look at different plugins and themes it has in store, come back to this post and tell us more about your favorite products in the comments section below. If your answer is impressive enough, we will reward you with the best deal of your lifetime. Give it a shot immediately to get an edge over other participants and improve your chances of winning the giveaway. All these has been covered by this Theme. it good quality Thumbnails and Very Catchy fonts. Other than these i need easy menu navigation. It has Mega Menu which is perfect if you have huge no. of catagory. Impressive. In Plugin section i will select Backup Pro. First essential plugin for a Blogger . In some areas where internet connection is very slow or in country like India or pakistan we have slow internet creating backup and downloading locally is not a Option for us. We need a online backup solution Wp Backup pro is a Good plugin for cloud backups. Hope you find this good. looking around your offerings they seems like they may provide a boost to my relatively new business. spending $$ is taking away a portion of my tiny income of building websites to small business customers . they deserve to have premium service however they also cannot pay too much for that. so in short, that will help me to setup my business faster and better to the sack of all. I would more than happy to win 😀👍🏻. 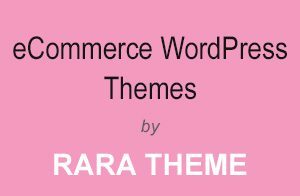 I vote for the Architect, eCommerce and SocialNow Themes. I love the Architect, eComerce and SocialNow themes, they are all pretty impressive, very clean and beautiful looking. The Seo optimization is great so my clients doesn’t need to have any knowledge. Why i prefer the MyThemeShop themes instead of the competence ones? because i’m a programmer, and i need the themes i bought to have a clean and optimized code, and need to offer my clients to be able to modify any part of their websites without complications. But what I like most, is to be able to show my clients the GTMetrix score of the MyThemeShop themes compared to others, so it is clear which is the best purchase decision.